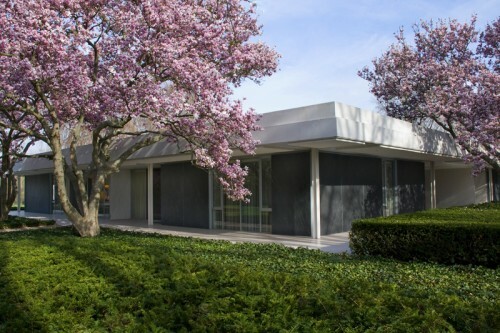 With the digitization, visitors would not only be able to view the home itself, but explore over 50 years of administrative documents covering the home’s design and construction. These include: house inventories, construction plans, and correspondence between client and designers. The museum estimates that it would take about two years to finish the project. Once done, the archive will be available on the web through Archon, an open source archives management tool. IMA, however, still needs to collect an additional $73,000, to complete its initial project estimate of $263,000.”If no further funds are available, the museum will make decisions about the priority and importance of the material and edit the project accordingly,” said Bradley C. Brooks, IMA’s Director of Historic Resources.“Very few archival collections of Modernist architecture are available online, and digitizing the Miller House and Garden Collection will provide a new precedent for engaging researchers from multiple disciplines in the study of materials of this kind,” Brooks added. IMA has whetted our appetites with the below photo of J. Irwin Miller’s correspondence with Saarinen, which kickstarted the landmark project. 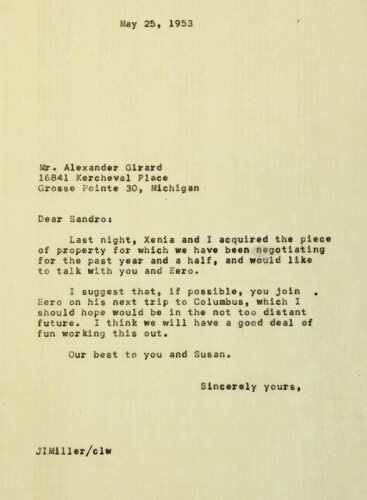 Miller writes to Saarinen, “I think we will have a good deal of fun working this out.” Fifty years later, we’re all still enthralled by the results.